Work on specific areas of built up tension in the musculoskeletal system. Utilises therapeutic, and dvanced massage technique. The philosophy is to treat the whole person, not just the symptoms. Our certified body massage therapist will personalise the right massage for you. We focus on Couples Massage, stone massage and cupping therapy to take care of your needs by helping you to de-stress, unwind and find your inner peace and balance. "If you have particular muscle tension or chronic pain a REMEDIAL MASSAGE may be for you". The therapist will assess where you need therapy and what may be causing your pain. One of the body system affected by over acidity is the Lymphatic System, (It is the body's major waste removal mechanism and an important part of the immune system). Awesome massage from Mariela. She knows how to work out all your knots. Just got out from my 2nd massage with her. Highly recommend. Not sure why people are complaining about them not accepting Groupons when they gave me zero issues regarding it. I give this place an A++++++. Ask a question or schedule an appoitment with us. 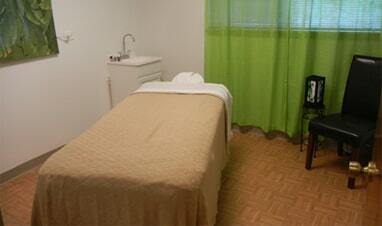 114 Southbridge Rd, Suite "E"
Copyright 2018 Massage Natural Clinic. All rights reserved.